1893 marked the beginning of a new portrait. 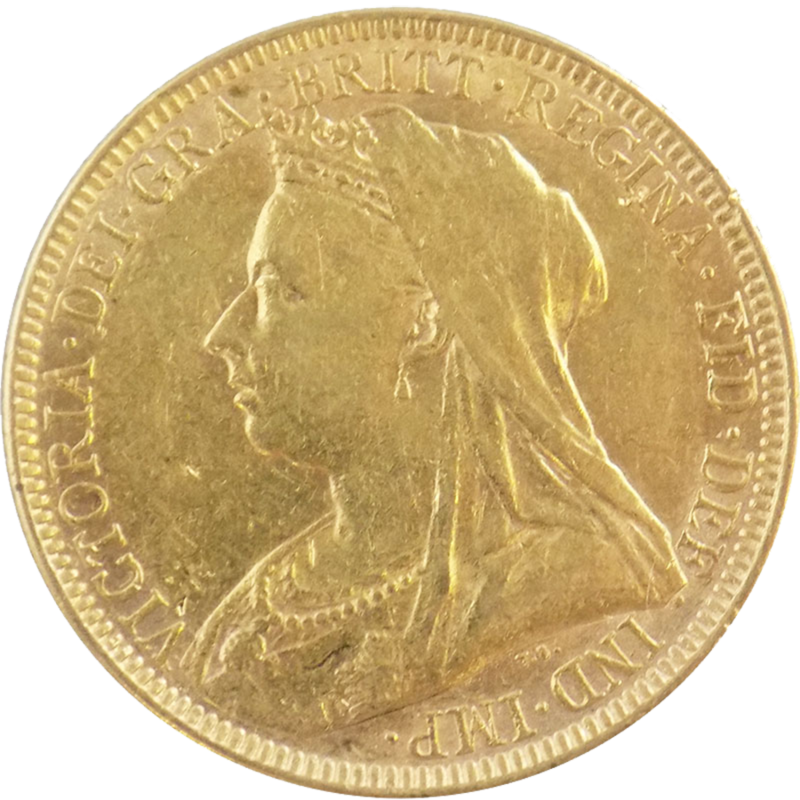 Commonly referred to as the ‘old head’, ‘veiled head’ or ‘widow head’, coins were produced from 1893 up to her death in 1901. By 1893 the Queen was 78 years old and shows Victoria wearing a coronet and long veil. 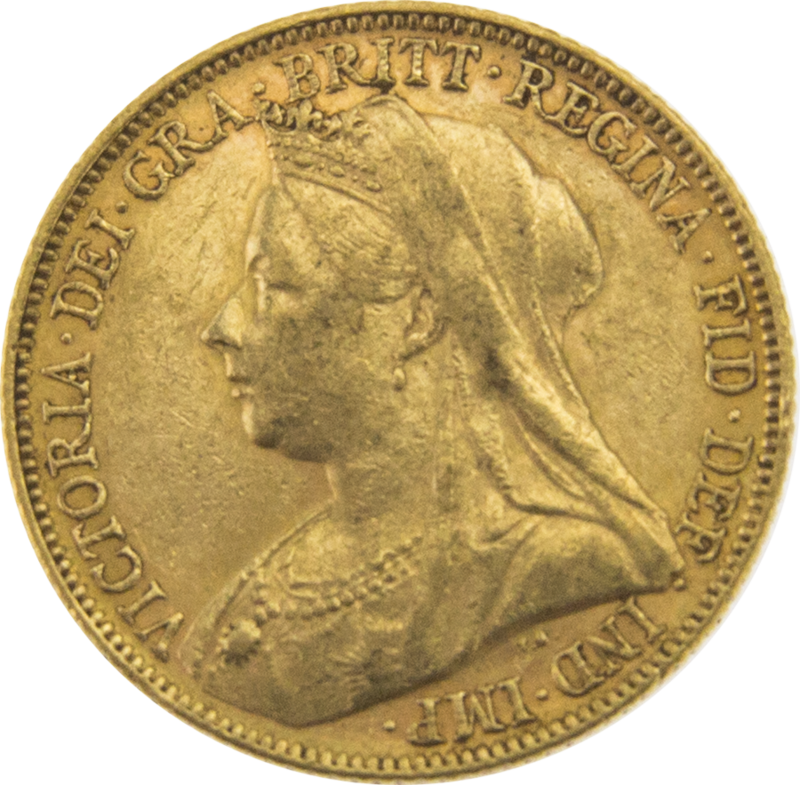 The edge of the coin reads ‘VICTORIA DEI GRA BRITT REGINA FID DEF IND IMP’. This is a Latin inscription which translates to ‘Victoria, By the Grace of God, Queen of Britain, Defender of the Faith, Empress of India’. 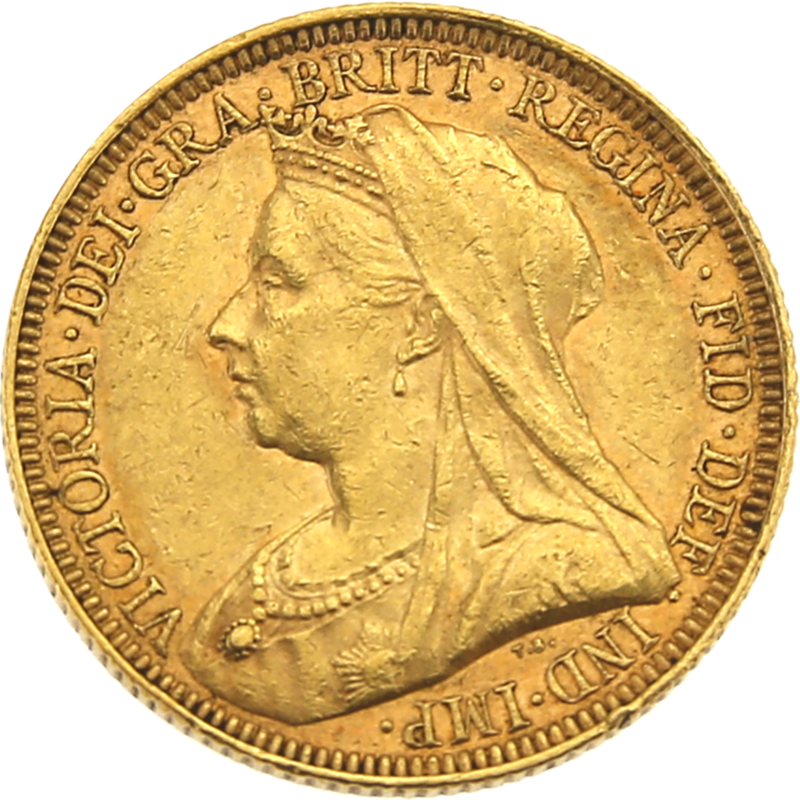 ‘Empress of India’ was a title which she took in 1876, this sovereign is the only type from her reign that makes reference to this title. The Queen faces to the left on these coins and are stuck in medal alignment. This means that should you hold the coin at the top and bottom and turn it through a horizontal axis the head or reverse will appear the same way up. 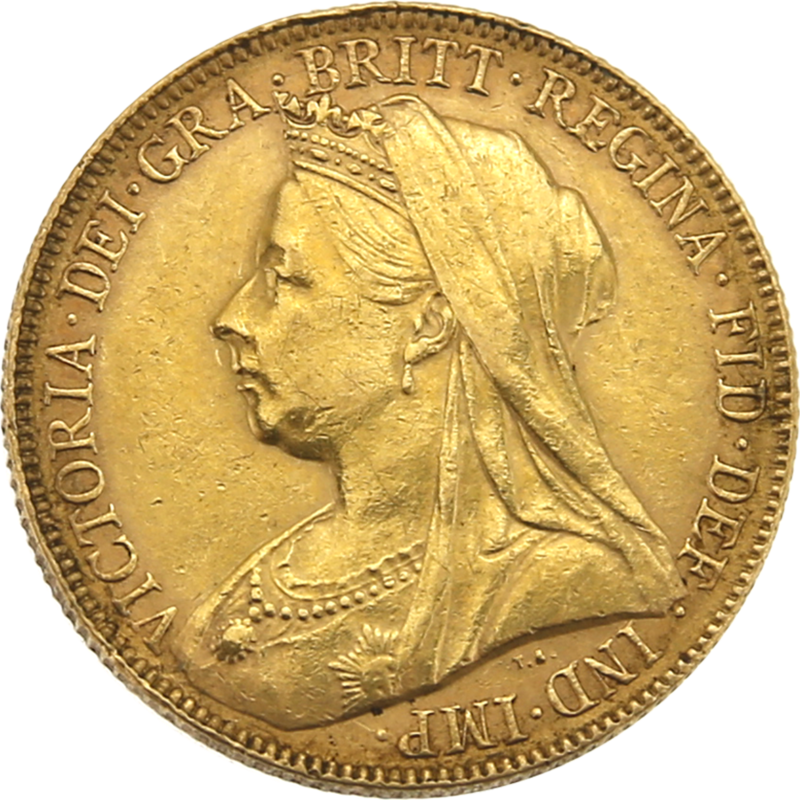 All Victoria Veiled Head Sovereigns feature the George and the Dragon reverse. 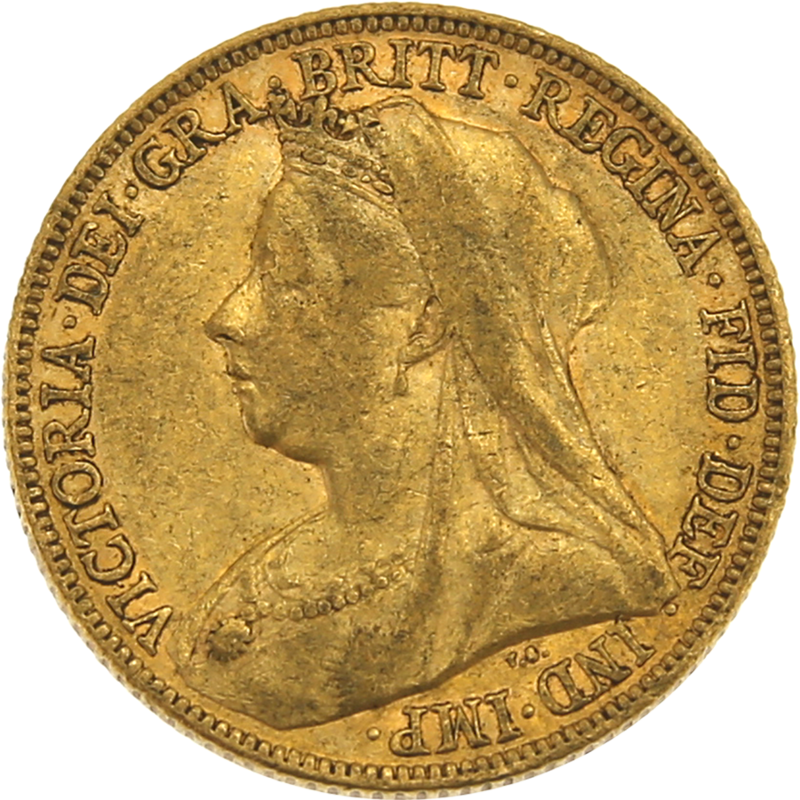 Coins were minted at the London, Melbourne, Sydney and Perth Mints.